one for Wine n Dine. I have a few questions and thoughts on the whole topic. 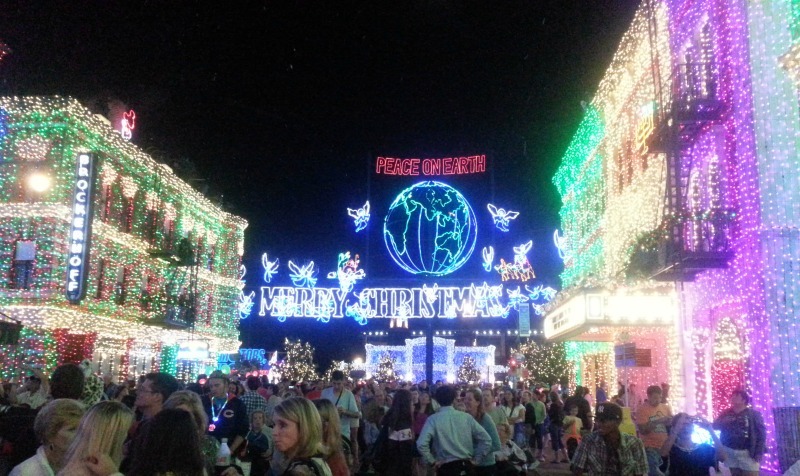 First off, there will no longer be the Osborne lights to run through. I am curious to see what the route will be and if there will be a new "spectacle" for runners to run through or by. With the new light show in Animal Kingdom perhaps that might be all lit up. As the runDisney community already knows, registration has been pushed back a few weeks. This has lead to rumors of a possible "challenge race". This hasn't been confirmed but it makes sense to do a challenge. With the loss of the Osborne lights (which was the highlight of the race), Disney needs to do something new to bring the runners back. And if Disney can make more money at it, then why not! This of course brings up even more questions. 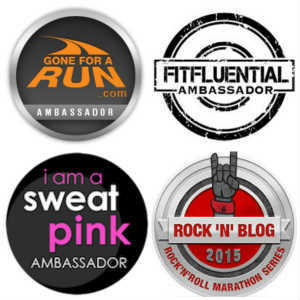 Where will they fit in the 10K? This more than likely means that the Jingle Jungle 5K will be moved from its usually Saturday morning time slot. Usually during a challenge weekend the 5K's get moved to Friday morning, the 10K Saturday morning and of course the half the following day. 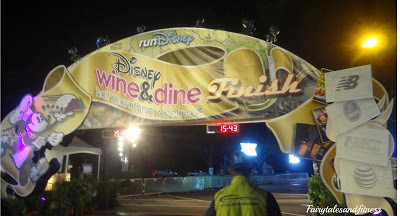 With Wine n Dine being a Saturday night race that line up does not make sense unless folks want to run a 10k in the morning and then a half marathon later that night. I don't want to do that, would you? I've also heard that the expo is opening a day early, so does that mean the 5K will be on Thursday? The 10K on Friday? Will the 10K be in the morning or will they make it at night? Oh there are so many questions I have about this. I guess I will just wait to hear something official from Run Disney. So I guess those are my thoughts for Thursday! What better day to get all this out. I surely do remember our meeting and just came across those pictures the other day! I'm intrigued to see what changes come about this year. As you know, we'll be there running the half this year since we deferred from last year. I am disappointed that we missed out on running through the Osborne lights, but I'm excited to see what changes are made to the course for this year. I hope whatever changes they make are for the better! See you there (hopefully)! I've been seeing all the rumors and am excited to see what they end up doing with this race! I agree that they do need to add something new to make up for the Osborne Lights no longer being a part of the course since that was such a highlight. In spite of everything that happened with this race last year, running through the lights was an amazing experience. I have not done the wine and dine before so hard to comment on the changes. I've always like the idea of this race being a night time start because who really wants to get up for a race at 2 am to line up? How much fun! I am not a night person AT ALL so I've never considered Wine and Dine, but it does look like fun! I'll be interested to hear what they do with the schedule. It's so interesting that the trend in racing is to do a group of races and call it a "challenge". Great opportunity for the organizer to make money and then there's the bling of course. I've wondered why W&D still doesn't have a 10k. All the other race weekends have one. I've also heard the course might go through different parks too. Lots of unknown, and of course, no official information from rD. 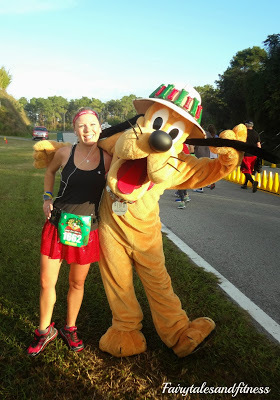 I've never done a Disney race, but they sure look like a lot of fun! I'm def. excited about the party being later so I can go back and sleep and shower first! Sounds like a lot of fun! I've never done a nighttime race before. I'm sure Disney will do it right! I will definitely be doing all 3 races and even though Im disappointed with it not being at night i think the addition of the 10k and the sunday night after party will be fun! 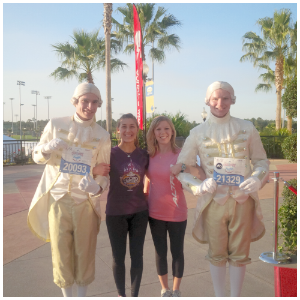 I so want to do a Run Disney race. For the moment there is only one in France, but I hope they will add a couple !